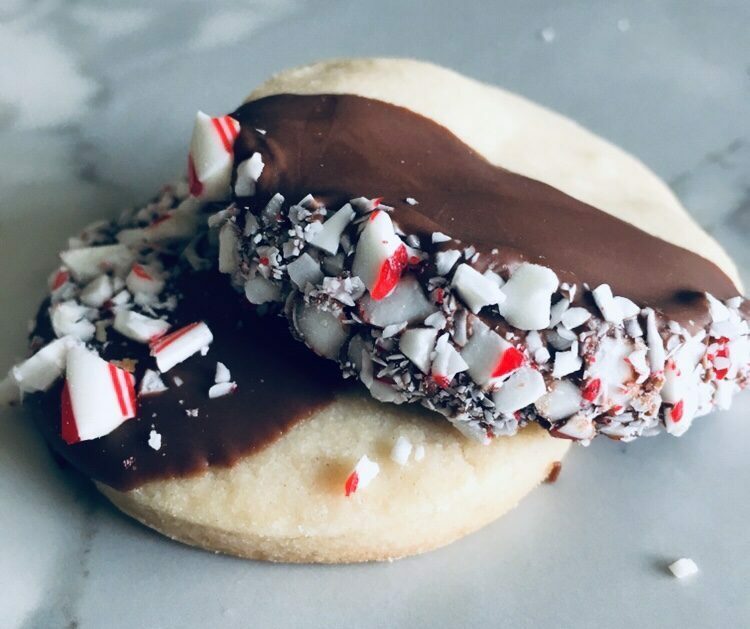 Coming off of the holidays there is nothing more fun than whipping together an easy cookie recipe when you don’t have much energy but have an intense addiction to chocolate. I don’t know about you, but after about five holiday parties and eating my weight in cheese the last thing I want to do is spend more hours in the kitchen with the hot oven breathing down my back. Insert this easy bake that requires very few ingredients. These also work very well with a variety of toppings based on what you have leftover in your pantry from the holidays. Having a few days off from work and wandering around the house I found myself in my natural habitat inside the pantry looking up and down at the rows of flour and chocolate. Since I had an extra hour on my hands I decided to do a swift year-end organization of the pantry. As I was sorting through half empty boxes and containers, I found one lonely box hiding up in the top right corner of a shelf. I could barely reach this shelf but pushed myself on my tiptoes to just reach this delicious looking devils food boxed cake. Flipping it over I wondered what to do with this box of cake. Throw it away? Do we donate it to someone who could find it a loving home? Personally I’m not crazy about basic cakes. However, when you turn that cake into an ooey-gooey ball and form it into a cookie loaded with more chocolate and sugar…I’m in. For these chocolate cookies I jazzed up the first batch with sugar crystals and the second batch with powdered sugar because that is what I had in the pantry. 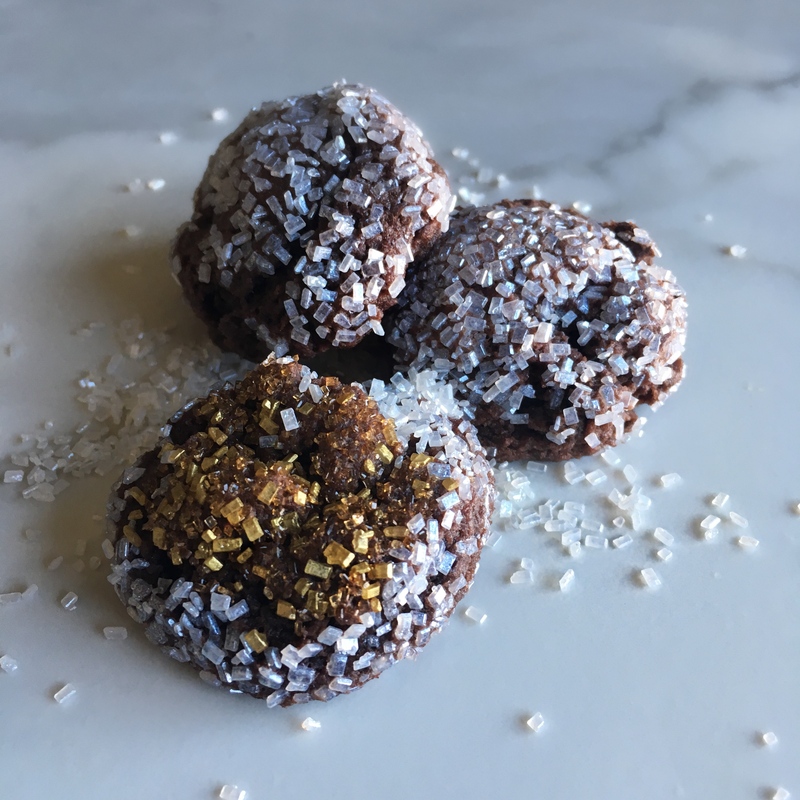 This choc-aholic isn’t going to wait on a trip to the store to make these. So, dig around in your pantry and see what you have to throw into these easy devils food chocolate cookies! Keep on reading to find out out how to turn basic boxed cake mix into delicious chocolate cookies. First you will need to make the dough by creaming together cream cheese and unsalted butter. Once that is combined, add in the egg. Slowly stir in the cake mix (about 1/2 of the bag at a time so it doesn’t fly all over the kitchen). Last, add in the extra chocolate! I used a mix of dark & milk chocolate but you can use whatever your heart desires. You feeling light and sugary? Use milk chocolate. Feeling bitter and mysterious? Use dark chocolate. I keep an airtight container that is mixed with milk & dark chocolate in my pantry. I never know what to do with the random bits of chocolate leftover in the bottom of chocolate chip bags so I started a miscellaneous chocolate container which I use to add to a variety of recipes that call for chocolate chips. It’s a fun way to add a little mystery when someone asks what’s in the cookies. To make the sparkly cookies of your dreams you first need some sparkles! I used these chunky gold and silver sugar crystals because not only are they super fun but they add a delicious crunch for an extra layer of texture. It’s best to add the sugar crystals or sanding sugar before you bake these so the crystals fully adhere to the cookie. You can add them right after they come out of the oven for a less intense crystal topping (or if you forgot!). For a powdery snowball effect roll the cold dough in powdered sugar before baking. Like the crystals, this makes the powdered sugar adhere much better to the cookie. 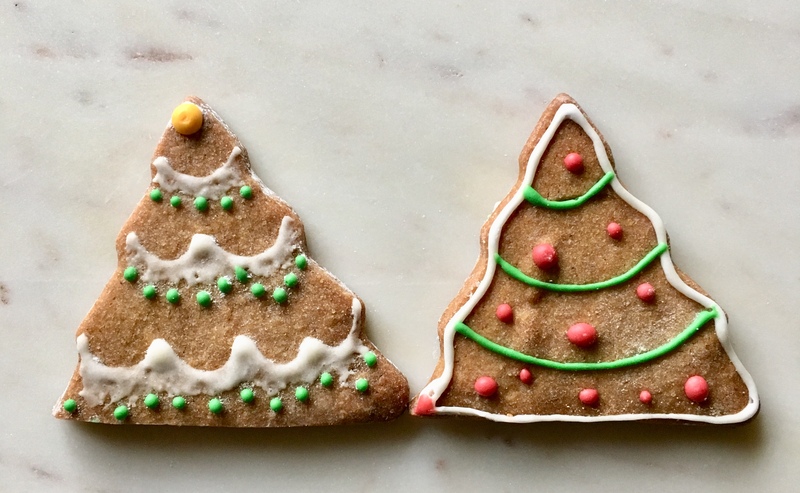 Adding powdered sugar naturally makes the cookie more messy but by baking it on there there’s a smaller chance of it ending up all over your house….and face. If desired, you can wait to do this step once the cookies are out of the oven and slightly cooled. I personally prefer doing this step before baking so everything is done and baking on the powdered sugar creates an icing-like layer surrounding the cookie in yummy goodness. Once your cookies are out of the oven, be sure to move them to a cooling rack. I usually leave them on the baking tray for about 3-5 minutes or just cool enough to handle. Tip: For extra gooey brownie batter-like cookies make sure to just bake these until set and remove them from the baking tray as soon as possible. Both the sugar crystals and the powdered sugar variety would be welcome on any cookie tray or mixed set. I put these out with some gingerbread for our fourth (yes FOURTH) Christmas get-together. It was a mixed bag between some guests preferring the crunch of the sugar crystals and a few preferred the powdered sugar better. Preheat oven to 350°. Cream together cream cheese and unsalted butter. Once that is combined add in the egg. Slowly stir in the cake mix (about 1/2 of the bag at a time so it doesn’t fly all over the kitchen). Last, stir in the chocolate chips! Wrap the dough in parchment paper and chill for about an hour. Using a cookie scoop, one-by-one shape dough and roll in your choice of toppings. Place cookies on a parchment lined cookie sheet 2 inches apart. Let these just cool on the baking tray. Move these to a cooling rack as soon as possible to avoid these baking longer after they are out of the oven. This is essential to getting that chocolatey melt in your mouth devilish cookie! Make sure to like, follow & share!